The key here is growth, and paying tax on said growth. The point of a pension plan is to invest now so you have a big lump sum or annuity on maturity, both of which are designed to provide an income for you to live on when you retire. Just as the magic of compound interest or compounded returns produces superior returns on maturity, so that same force means that taxes paid every year produce inferior returns. A good quality wrapper will mean you’ll enjoy gross rollup or zero tax during the course of the policy. A non-UK resident drawing an income from a UK pension will have to pay UK tax on that income unless they live in a country whose double taxation treaty has a pension-specific clause. Moreover, the tax breaks that were possible are becoming more and more limited. 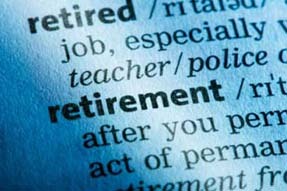 The rules have changed as of April 2009; restrictions have been placed on higher rate tax relief for those whose income is £150,000 or more and those whose total pension savings exceed £20,000. An offshore plan will have none of those restrictions. The lump sum issue can be problematic too. With a UK pension scheme, you can withdraw a lump sum of up to 25% tax-free on maturity, typically when you are 65 (some plans allow earlier withdrawals, but not at the full 25%). With an offshore scheme you can withdraw 100% tax-free, and typically you can withdraw the money when you wish, at a present maturity date, with no penalties. Freedom With an offshore pension, you have complete control. As it acts like any other investment vehicle, you are free to move money about within it, change and adapt where your money is going and withdraw all of it upon maturity. In an offshore scheme there is typically no minimum age, or where there is it can be as low as 50 before you can withdraw your cash. Performance Your UK pension isn’t in fact your asset. You simply have a small share of a large pot and have to share the financial prerogatives and risk profiles of perhaps hundreds of thousands of people. Moreover, you don’t know what you’re invested in or why. With an offshore retirement plan or pension you’re in control. In concert with your specialist financial adviser you’ll carefully formulate a portfolio strategy to suit both you and the market. The portfolio will be composed of award winning mutual funds, and the allocation will change with the market to avoid giving back precious gains. It’s not uncommon for the same contributions to be worth three times more on maturity for an offshore plan than for a UK pension plan. Your Estate Your UK pension doesn’t form part of your estate. This means that, because you don’t legally own it, you can’t pass it on. After your death your spouse might receive a reduced income, but then your UK pension will just disappear. There will be nothing to pass on to your children. An offshore pension can generate a significant lump sum which, if managed correctly will generate a good income while preserving the capital. You could pass on the capital, or wrap it in Trust to provide an income to your relatives forever. Lifetime Allowance Charge Offshore, you can build up as much of a retirement fund as you like, and because you’re able to properly diversify it across asset classes, it can be the only retirement plan you’ll ever need. Unfortunately the UK government will tax you at 55% on anything above £1.8 million. This may seem reasonable, but remember – this amount can generate an income to match your current salary, forever. With an offshore plan you can build up a fund to whatever amount you deem necessary. Currency With a UK pension you’re restricted to just Sterling, meaning you run a currency risk if you retire abroad. With an offshore retirement plan you’re able to invest in any currency of your choosing and, with a good financial adviser, you’ll be able to hedge your bets across multiple currencies, giving you the freedom to ignore exchange rates and focus on the weather when choosing your retirement destination. Now you have all the benefits of choosing an offshore pension plan; make sure you read our Pension Plan Checklist to consider your priorities.